The old church hall on Church St. (now a private house) has been used for many things since it was constructed at the end of the 19th century including meetings, parties for young and old and, of course, shows by WAMADS. 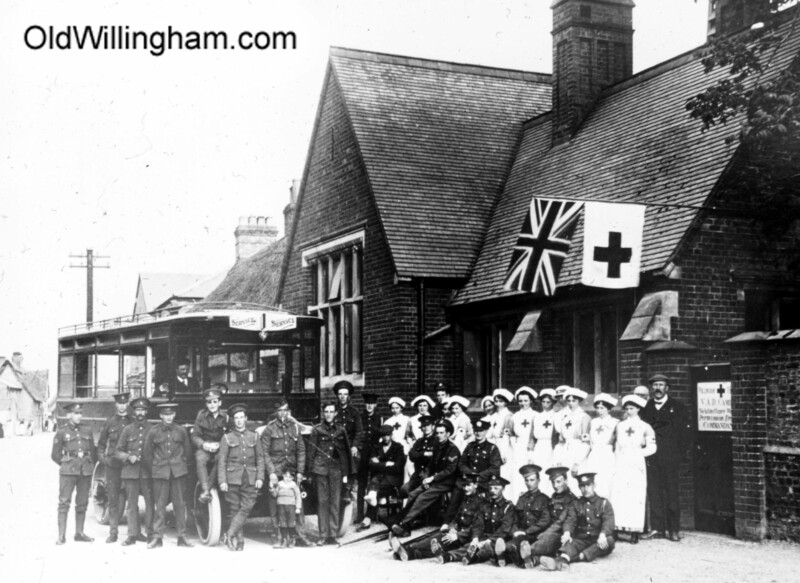 But during the First World War it was used as a hospital. In this month’s photo we see the nurses, staff and some of the recovering patients outside the gate. The sign on the gate reads “Willingham hospital, V.A.D. Cambridge. No admittance without permission of the Commandant.” Other places in the village provided beds for soldiers including the gallery at the rear of the Church (now removed) where some of the soldiers carved their names into the walls.